If you’re the kind of person who snatches up fashion magazines or tabloids at every opportunity to see what all of the celebs are rocking around town, you’re going to love this post. We have Hollywood’s hottest sporting fabulous specs and shades on and off the set. Take a peek to see who was wearing what and get up-to-date on A-list eye candy. Ryan Phillippe got serious for his dark role in the psychological thriller The Lincoln Lawyer and totally played the part in 1421 Dominic navigator shades by Miyagi Eyewear. Jaleel White, best known for his part as Steve Urkel from Family Matters, stars in this summer’s Judy Moody and the Not Bummer Summer as Mr. Todd. To capture his new role as a teacher, White wore IZOD 388 geek chic specs by ClearVision Optical. Legendary performer and 25-time Grammy winner Stevie Wonder looks like quite the crooner as he posed in a sleek pair of plastic Tommy Bahama TB537S aviators by Altair Eyewear. 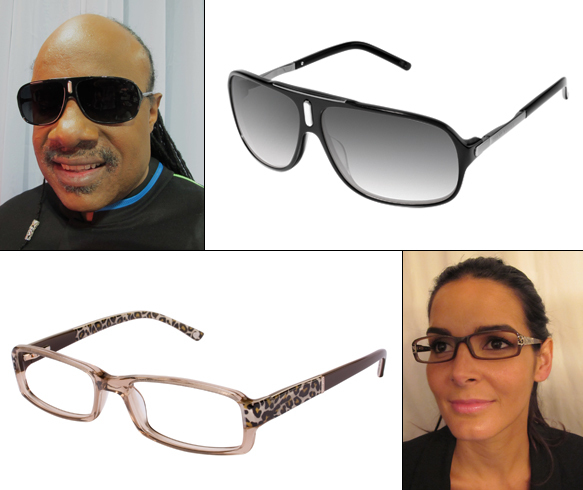 While Angie Harmon, one of the leading ladies on TNT’s Rizzoli and Isles, flaunts her feminine side as she tried on a pair of cheetah print bebe BB5003 specs. REM Eyewear has been making a serious splash in the wonderful world of celebrities. Seth Rogen dons dapper Indie semi-rimless “Quinn” frames in his upcoming film My Mother’s Curse with Barbara Streisand. 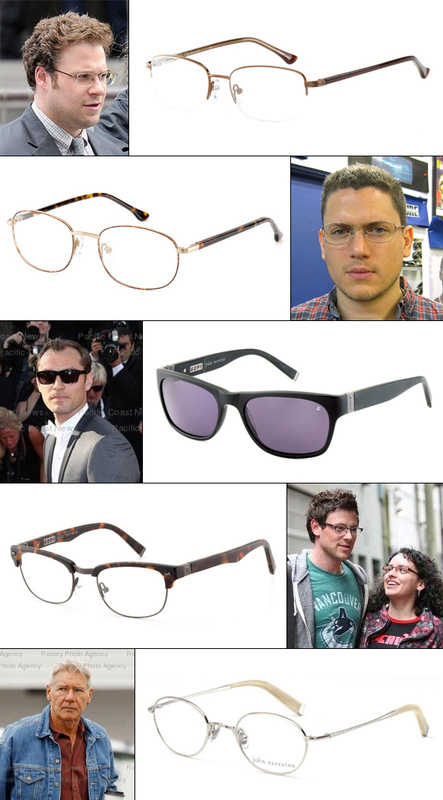 Prison Break’s stud muffin Wentworth Miller gave his best poker face as he checked out Indie’s thin wired “Benjamin” specs. And plenty of other A-listers have been spotted on the red carpet and out on the streets in their favorite John Varvatos frames—Jude law in V750, Glee’s Corey Montieth in V132 and Harrison Ford in V111.